Trudi is a geologist with a life-long interest in planetary science and astronomy. She became involved in meteorite studies by joining the Desert Fireball Network team, hunting for meteorites in the Australian bush. A bonus of field work is the stunning view of the night sky, away from city lights. She has studied the petrology and geochemistry of meteorites with the aim of attempting to understand the formation and evolution of the Solar System. Some of this research was undertaken at the Australian Synchrotron in Melbourne, Victoria; using X-rays to produce beautiful element concentration maps of meteorites. Trudi received her PhD, from The University of Western Australia, in 2014. 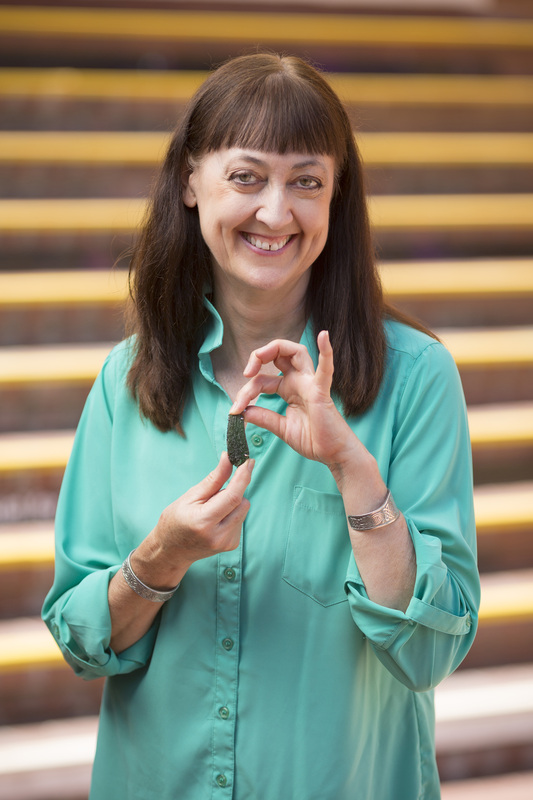 Studies have also included 40Ar/39Ar dating of impact events recorded by meteorites, and she now collaborates in research, at Curtin University, on the dating of terrestrial and extraterrestrial impact events. A recent descent inside a volcano, in Iceland, was a great experience, dramatically showing how volcanic processes work.